Review of the Silverstone Tundra TD03 CPU Liquid Cooling Heatsink. As you'd expect with a 45mm thick heat exchanger, Silverstone are forced to supply two 120mm fans in an in-line push-pull configuration to get the necessary airflow moving through the heat exchangers' aluminum fins. The fans, with white impellers no less, run at 2500RPM to 1500RPM, placing the Tundra TD03 in a slightly louder class than most liquid coolers. Behind all the flourish, the Tundra TD03 cooler is otherwise a fairly normal offering, shipping fully assembled, plumbed and filled. 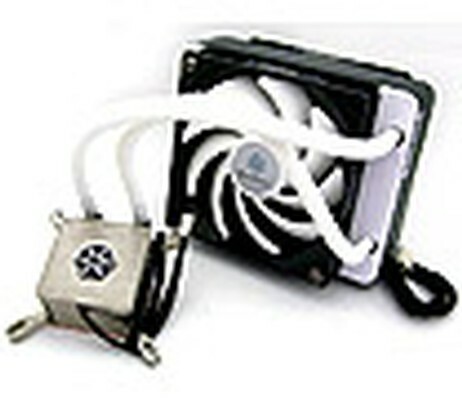 Silverstone Tundra TD03 AIO kaufen.